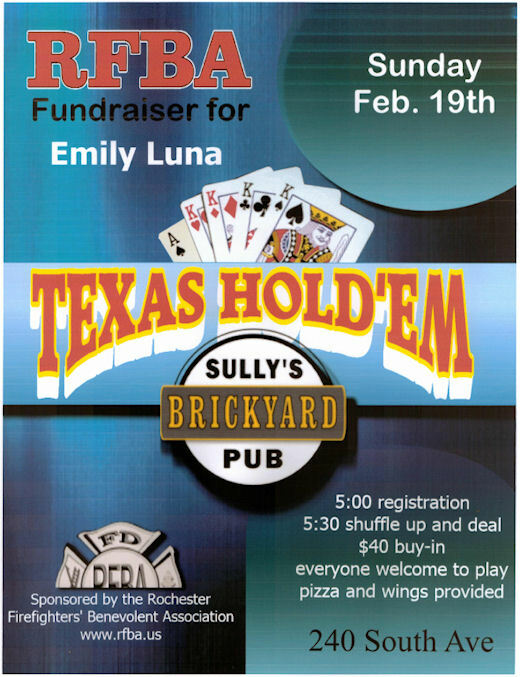 Sun, February 19, 5pm – 11pm at Sully's Brickyard Pub, 5:00pm Registration. 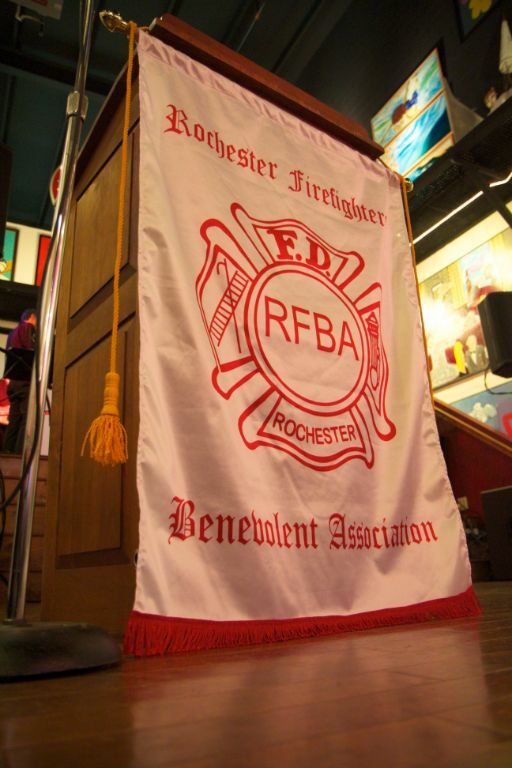 RFBA Poker Tournament is to benefit Emily Luna, daughter of Lt. Joe Luna, Engine 17. Please come and play.